*Actually, Australians are very nice people, and I'm sure it's not their intent to derail my nutritional program with the licorice, but there you have it. Doesn't Target sell Australian-style licorice? I tried it and really couldn't distinguish it from other kinds, but then again, I can't tell the difference between Coke and Pepsi. No doubt the brand you had is a little more primo than the stuff from Tar-zhay. Yes, they do. 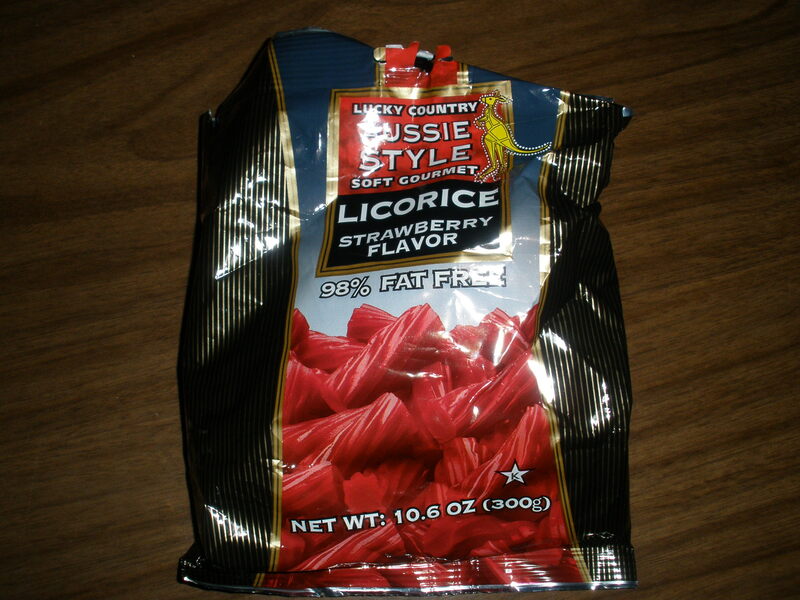 I guess I'm a sort of licorice connoisseur. It's more the thickness and texture that differs from American licorice. And, full disclosure, this stuff is "Australian-style" but made here. Bought at Bed, Bath, and Beyond before a movie...nothing too fancy!